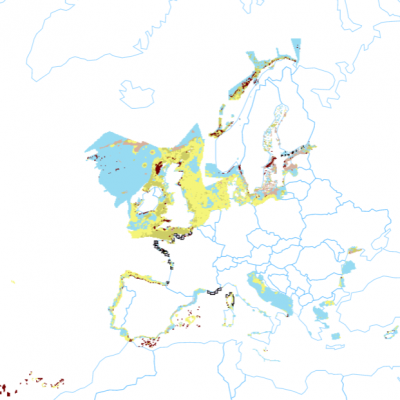 The EMODnet Geology Portal aims at providing harmonised information on marine geology in Europe. The portal is under development, and all data are for free download. 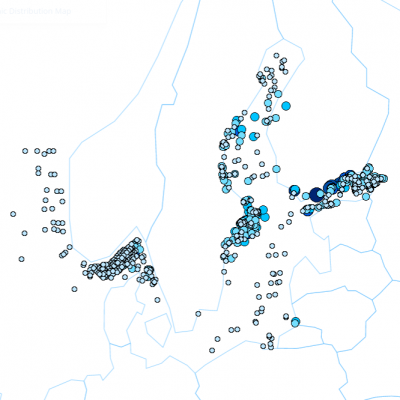 It is one of several EMODnet portals with the purpose to strengthen blue growth in Europe. Scroll to the news below to learn more. 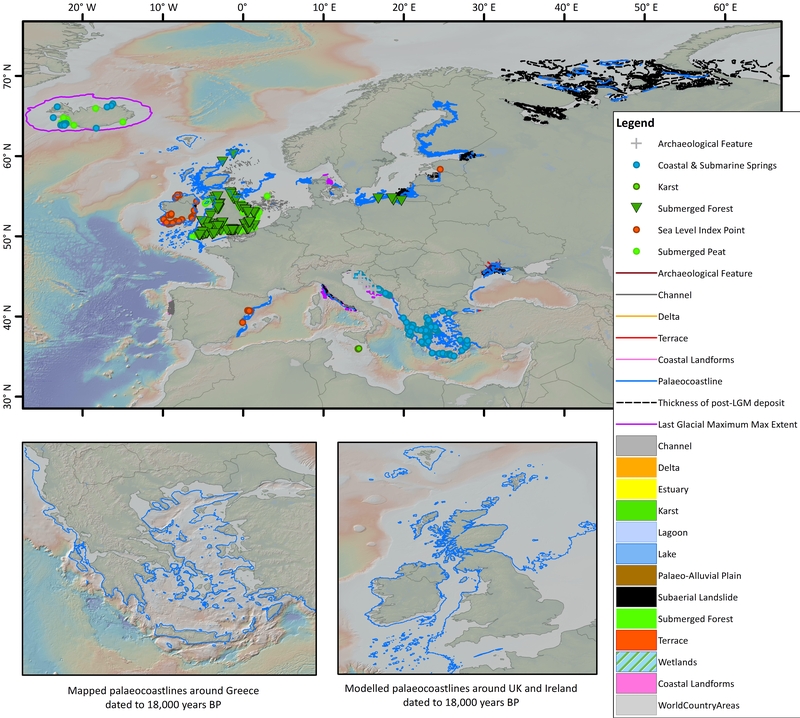 The harmonised and multiscale maps of the seabed substrate have been released today by EMODnet Geology. Diverse national seabed substrate data classifications are brought together, harmonised and collated using the Folk classification system of 5, 7 and 16 classes. 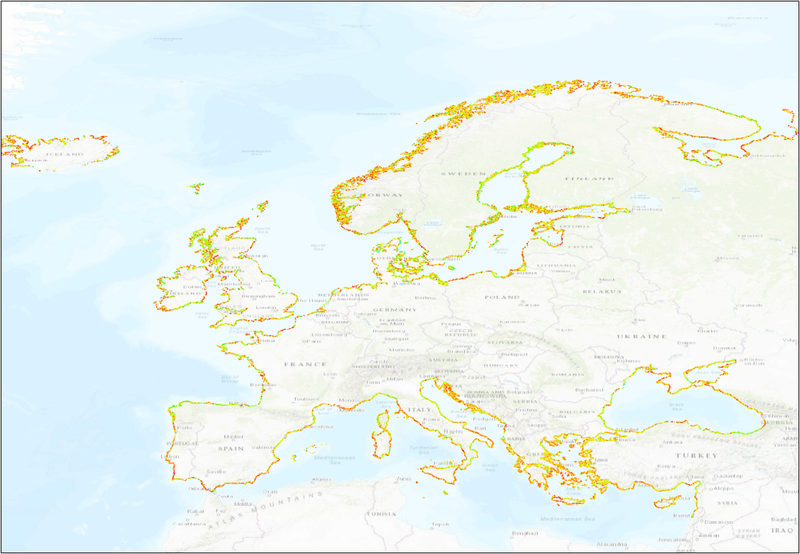 The maps illustrate seabed properties at different scales – 1:50 000, 1:100 000, 1:250 000 (250 k) and 1:1 000 000 (1 M) – covering all European maritime areas in one product. The broad scale data (250 k and 1 M) describes the seabed substrate at a general level, suitable for the decision-making, research and large-scale spatial planning. More detailed scale data are needed, for instance, for habitat mapping purposes and planning local constructions like wind farms. 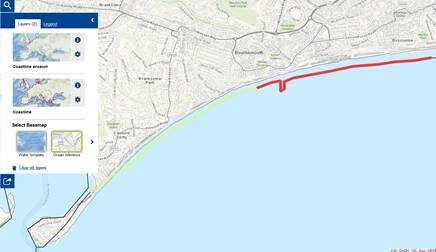 The maps of the seabed substrate are now available on the EMODnet Geology portal. 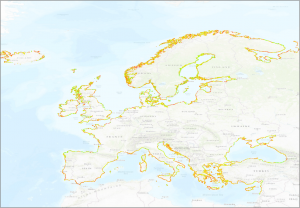 Sea level is known to have fluctuated by more than 100 metres over repeated glacial cycles resulting in recurring exposure, inundation and migration of coastlines not only across Europe, but worldwide. 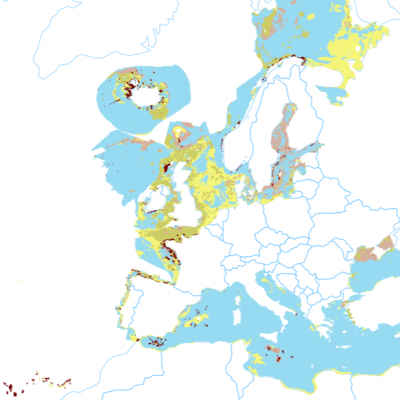 Landscape response to these changes in sea level, and the preservation of these features on continental shelves around Europe, are an invaluable resource for improving our understanding of human history and environmental change over geological time. 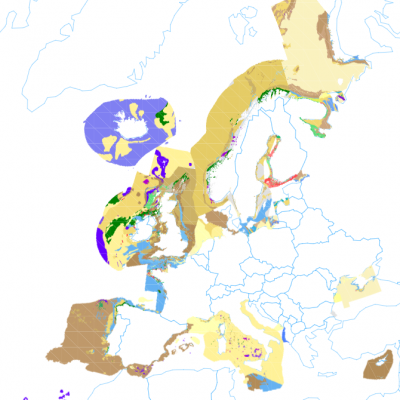 EMODnet Geology’s marine minerals layers include all types of naturally occurring geological raw materials, metals and hydrocarbons known to accumulate in European sea regions. 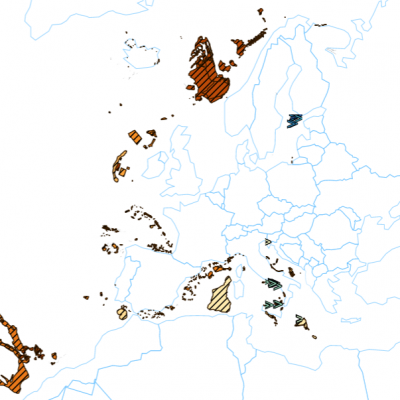 The 12 different types of marine minerals mapped for EMODnet Geology vary widely in types. 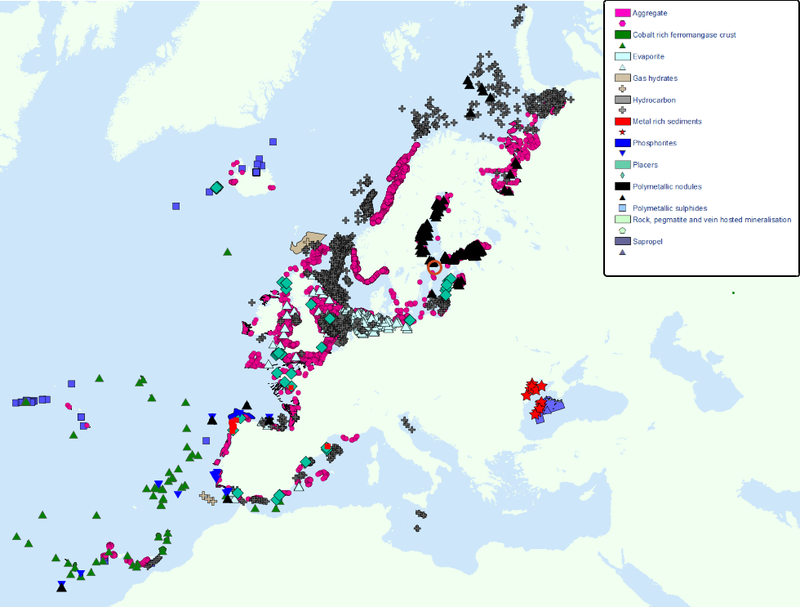 Differing geological environments are reflected in the varied types of mineral accumulates found in the European marine environment. 2018.11.09. Why may a mapped coastline differ from the ‘official’ coastline?